Looking for a new, manageable chapter book series for your 8 – 12 year old? Eleanor Estes’ The Moffats series of four chapter books are just the ticket, and all four of them are currently on sale at discount prices! Meet the Moffats. 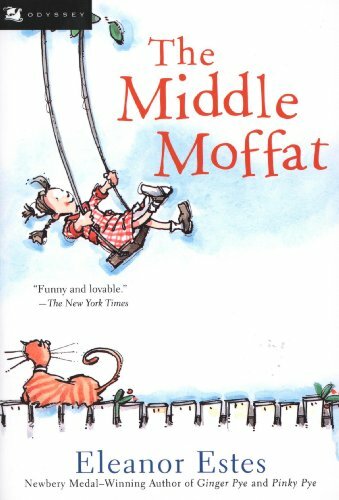 There is Sylvie, the oldest, the cleverest, and-most days at least-the responsible one; Joey, who though only twelve is the man of the house…sometimes; Janey, who has a terrific upside-down way of looking at the world; and Rufus, who may be the littlest but always gets in the biggest trouble. Eleanor Estes’s beloved Moffats stories are being published in new editions as Odyssey/Harcourt Young Classics. The original interior illustrations have been retained, but handsome new cover art by Tricia Tusa gives the books a fresh, timeless appeal for today’s readers. Who is Jane Moffat, anyway? She isn’t the youngest in the family, and she isn’t the oldest-she is always just Jane. How boring. So Jane decides to become a figure of mystery … the mysterious “Middle Moffat.” But being in the middle is a lot harder than it looks. In between not rescuing stray dogs, and losing and finding best friends, Jane must secretly look after the oldest inhabitant of Cranbury…so he can live to be one hundred. Between brushing her hair from her eyes and holding up her stockings, she has to help the girls’ basketball team win the championship. And it falls to Jane-the only person in town with enough courage-to stand up to the frightful mechanical wizard, Wallie Bangs. Jane is so busy keeping Cranbury in order that she barely has time to be plain old Jane. Sometimes the middle is the most exciting place of all…. You’ve never met anyone quite like Rufus Moffat. He gets things done, but he gets them done his way. When he wants to check out library books, Rufus teaches himself to write…even though he doesn’t yet know how to read. When food is scarce, he plants some special “Rufus beans” that actually grow…despite his digging them up every day to check on them. And Rufus has friends that other people don’t even know exist! He discovers the only invisible piano player in town, has his own personal flying horse for a day, and tours town with the Cardboard Boy, his dearest friend-and enemy. Rufus isn’t just the youngest Moffat, he’s also the cleverest, the funniest, and the most unforgettable. There has never been a museum in Cranbury…until now. 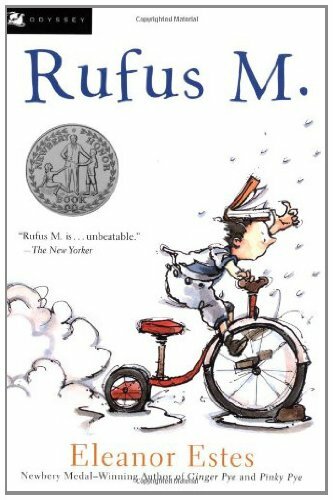 Among its treasures are the first bike each of the Moffat kids rode, stardust from a meteor that fell to earth, a beautiful painting made by Sylvie, and-most spectacularly-Rufus, the Waxworks Boy, who is as funny as he is waxy. The museum is so interesting that Mr. Pennypepper even brings tourists to visit. 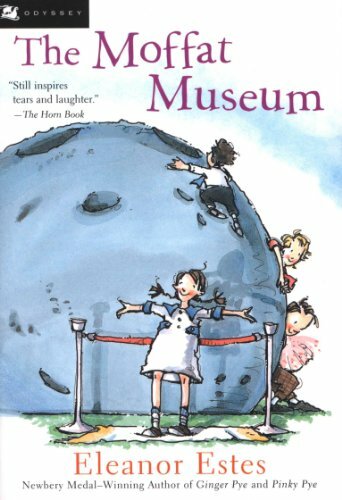 But the museum is really for Jane, Joey, and Rufus themselves, so they can remember all the good times they’ve had. Because life is changing for the Moffats. 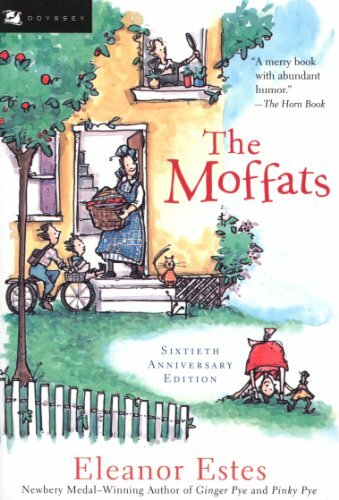 Yet even if Sylvie gets married, or Joey goes off to work, or Rufus grows up, one thing will never change: The Moffats are still the sort to hilariously fill even the most ordinary day with extraordinary fun.